I ran my first website workshop teaching the owners of small businesses the basics to Search Engine Optimisation. My mission for 2019 is to help you get the most from your online presence, both in terms of building high quality, professional websites and teaching you how best to use them after the live launch. How a fast loading website will improve your users experience, improve search engine performance and help you achieve your goals. Websites are a lot like lasagne. The Teenage Market is a free platform encouraging young people to start their own business and showcase their creative talents whilst supporting their local markets. I am delighted to have built the Foodie Friday website promoting Stockport’s monthly community event offering street food, craft ales and live music! Wonderland Cakes is the business of Nicola Quinn, who designs and bakes bespoke cakes for all occasions from her cake and coffee shop in Stockport Old Town. I’m a friendly and creative freelance website designer and developer based in Stockport just outside of Manchester. 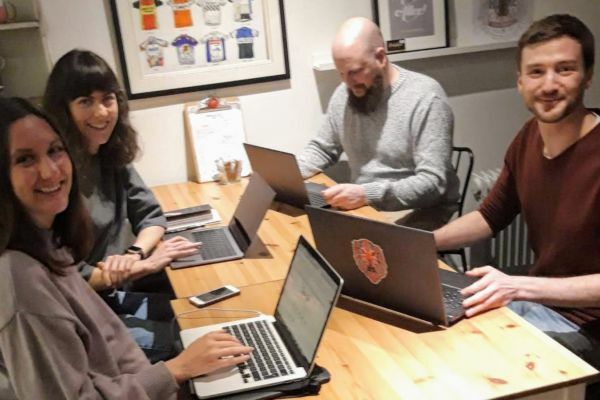 I have over 9 years experience working with digital agencies in Manchester and now operate on a freelance basis, offering web design and development services to private clients, digital agencies and charities around the UK and internationally. I have also worked as a guest tutor at the University of Salford, where I taught a web design and development module. Review the performance of your website for free with my Website MOT Guide Book and be the first to hear about my training workshops when you subscribe to my newsletter. Let's discuss your website today!